The second visit will be much shorter than the first, with this one lasting between 20-30 minutes. One of the most important aspects of this visit is to ask any questions you may have forgotten to ask or thought of since the initial visit. It will also give Dr. Byrne the opportunity to see how you responded to the initial treatment and if any modifications need to be made to your treatment plan. Depending on how you respond to the initial treatment, home care such as heat or ice as well as stretching and strengthening exercises may be introduced at this time. 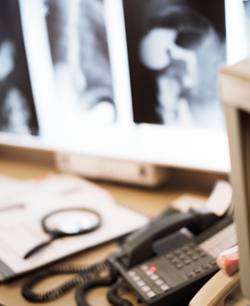 There is also the opportunity to go over any reports which may have come in since your first visit, such as radiology or advanced imaging reports. Spinal problems rarely get better on their own. Call our Southwest Calgary chiropractic office and begin chiropractic care today.